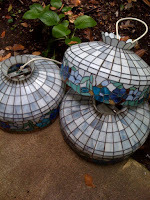 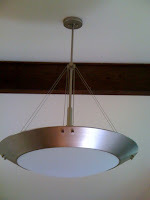 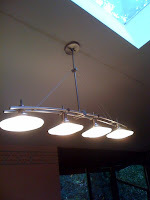 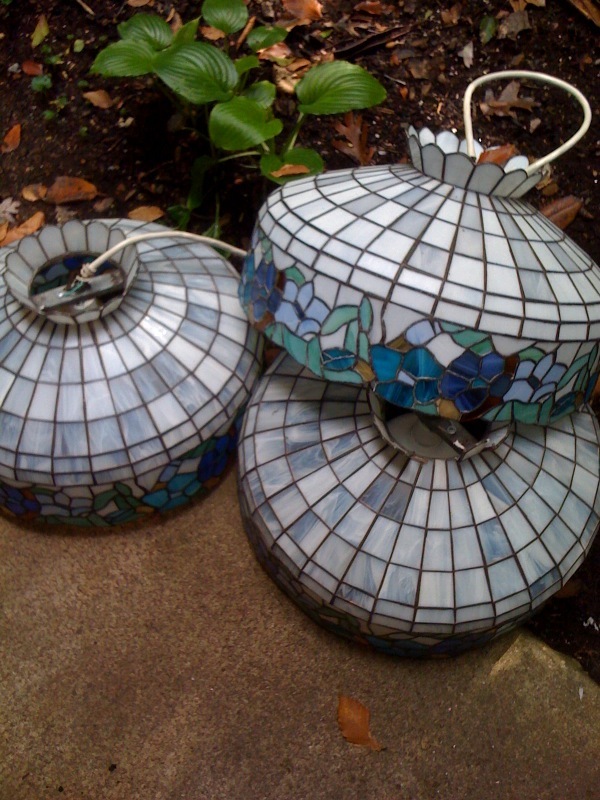 This is an interesting dinning room light fixture that I want to share with everyone. 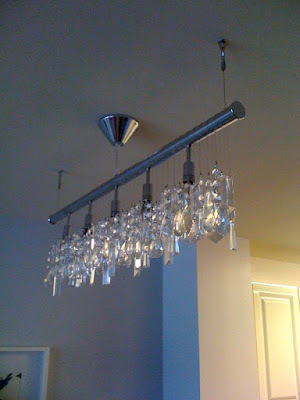 It fits well in a modern classical city condo. The clean line of the fixture base are very common in the new high end designs. The crystal around the lights are reminiscent of the a classical chandelier.